Home / News / Prince Harry Was More Interested in Greeting Dogs Than People, but Who Can Blame Him? Prince Harry Was More Interested in Greeting Dogs Than People, but Who Can Blame Him? If you’re the kind of person that goes to a house party to see the host’s dog and not the people, then know that the club has just welcomed a new famous member: Prince Harry. It seems the royal is more interested in his canine fans than his human ones, and to be honest, we don’t blame him. On Oct. 3, Prince Harry and Meghan Markle were glowing as they made their first visit to Sussex as the Duke and Duchess of Sussex, where they greeted well-wishers, mingled with the locals, and petted the most adorable dogs. 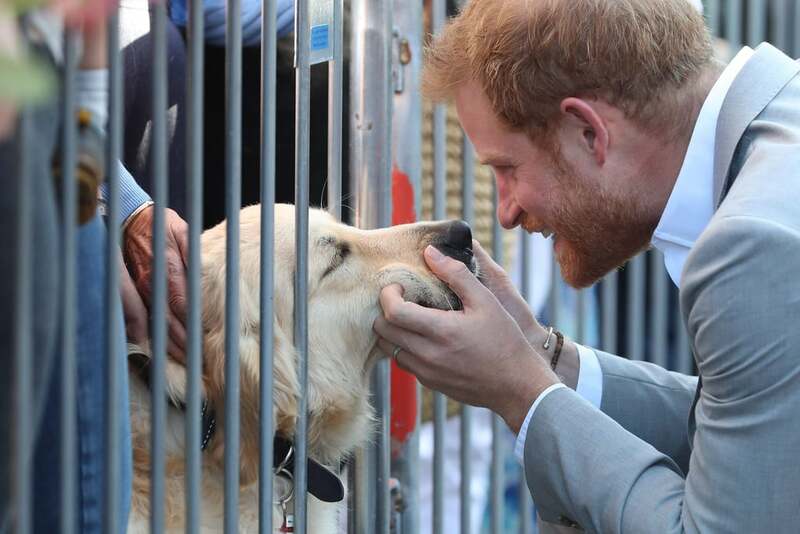 Prince Harry was seen kneeling down, lovingly squishing a golden retriever’s face and looking so incredibly happy doing so. And now we’re jealous. . . of Harry. But Harry wasn’t the only one who had a moment with a pup: Meghan got her fair share of cuddles, too. 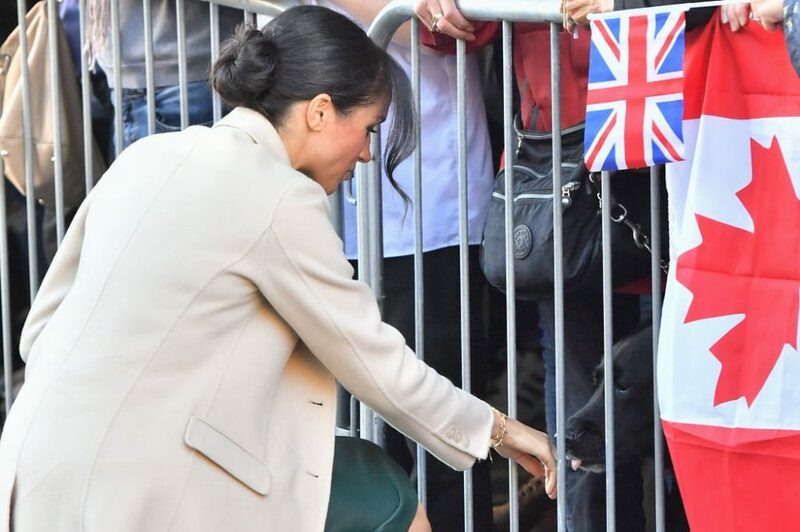 The duchess let a dog give her hand a lick in a supersweet interaction, although we’re not sure the black pup was aware that he may have broken royal protocol. Of course, it’s not uncommon for royals to give dogs in the crowd some attention — especially since the couple are known for their love of canines — but it certainly doesn’t make it any less adorable each time. I cannot think of anything better than that.